Welcome to RC Helicopter Guide! Get Started at Flight School! RC helicopters allow you to truly be in control of a flying machine, one which responds accurately and precisely to what you tell it to do. Coaxial helicopters have been praised as the low-cost solution to "get your feet wet" in RC helicopters, and rightly so. With so much less complexities and a built-in stabilizing system, they enable the beginner to experience flight and pilot their own aircraft for the first time. This site has lots of information and advice for beginner coaxial and fixed pitch heli pilots as well as a boatload of information and help for the more advanced collective pilot. 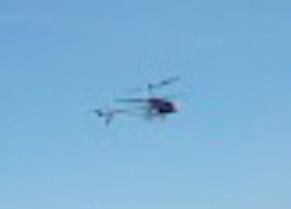 Flight School in particular will help you learn to fly your heli without paying tons in repairs. Especially check out terms and definitions to understand some pretty complicated stuff. Or, check out The Best RC Helicopter: You Choose to get help in selecting the best RC helicopter for your needs, wants, and budget. This page has taken a lot of work, but its got a lot of info and I hope it helps y'all in choosing a good chopper. You excited yet? Let's get moving! Like this site? Vote for it on the Top 40 R/C Hub! If you like flying, being in control of something grossly overpowered, or simply love the thrill that comes with doing new, difficult things (okay, I fit all three) then RC Helicopters are for you. This site is dedicated to help you find the information and assistance you need to be successful in this amazing hobby. Post only pictures of my equipment or that I actually took (Pictures I did not take will have a white background or an asterisk (*) in the picture heading). Keep any contact info you choose to give me anonymous. 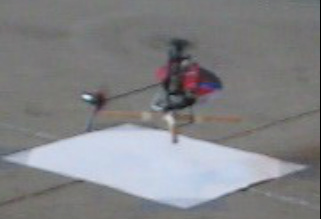 This page is all about how to learn how to skillfully pilot a Coaxial or Fixed Pitch RC Helicopter. I've found it very useful to avoid repairs. Please check this section out, it has really taken flight! Ready for a challenge? Collective Pitch Flight School is for you! Now fully complete! This Section is devoted to the nitty-gritty details of RC Helicopters. This page includes tips and pointers I've learned about li-po batteries and chargers. These are very useful to improve your battery lifespan, by up to 500% on the 9053's stock battery! A must see page! This page has loads of terms that you are likely to come across in the RC Helicopter world. From basic, like channel and rotor, to advanced, such as swashplate, dissymmetry of lift, and so much more. Probably one of the most important sections on this site, it includes a list of common RC problems, and what likely causes and solutions may be. A very useful resource when your heli is "freakin out." This page is all about how Helicopters work! This section was a long time in the making, but I think its turned out very well. 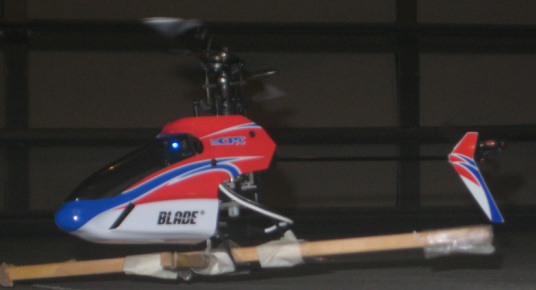 For help and information about how to choose an RC Helicopter, visit here! 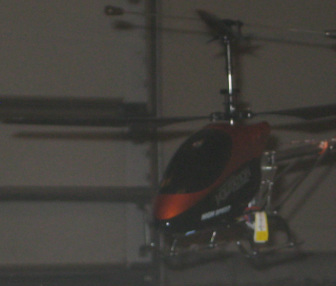 This page is all about single rotor helicopters and how they manage to stay in the air. Learn what torque is, why helicopters can fly, and so much more! 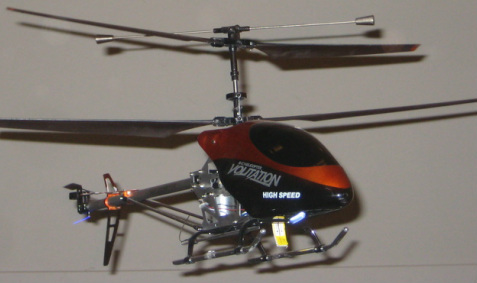 This page details technical data about coaxial RC helicopters. Learn why some coaxials don't have a standard tail rotor and how they fly. 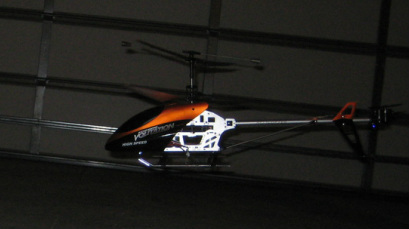 Learn all about common RC Helis! Each of the RC Helis in this section I own and fly. This page is all about the Blade mCP X Collective Pitch heli! PLEASE NOTICE the bulletin about programming travel adjustments on the mCP X. 99% chance your collective pitch travel adjustment is off. The ultimate resource for 9053 users to find solutions to problems, understand a helicopter function, or find out a cheap or efficient heli mod. A must see! Disclaimer: I am not affiliated in any way with Double Horse, Horizon Hobby, or any Remote Control store. The information on this site in no way represents any affiliated helicopter company. Duh. Please take a quick survey to help me improve this site! Pressing the submit button is secure via weebly's system. Notice that the survey is for site feedback only. If you would like help on a more technical problem, please use the Contact Me form instead. Otherwise I can't help you very well. Thank you! Your input is greatly valued! This entire site copyright 2014 RC Helicopter Guide. All rights reserved.